Shirley is a graduate student in the Karlsson Lab. Shirley received her B.S. in Biotechnology from Sun Yat-Sen University in Guangzhou, China. 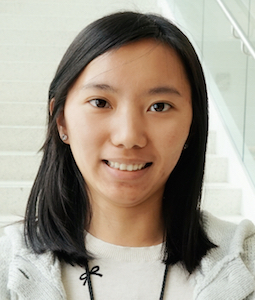 During her last year of undergraduate school, Shirley became fascinated by the power of computational methods to solve biomedical problems, and decided to focus on computational biology for her graduate studies. In 2015, Shirley received her M.S. in Bioinformatics from Worcester Polytechnic Institute in Worcester, MA. Shirley then became a PHD student in University of Massachusetts Medical School, where she is focusing on the genetics of complex disease in humans. Shirley works together with Diane on the cholera project. Shirley aims to apply both the existing mathematical methods and newly designed method to identify the host genetic risk to cholera susceptibility and other complex disease or traits. Shirley is also a visiting student at Broad Institute, Boston.